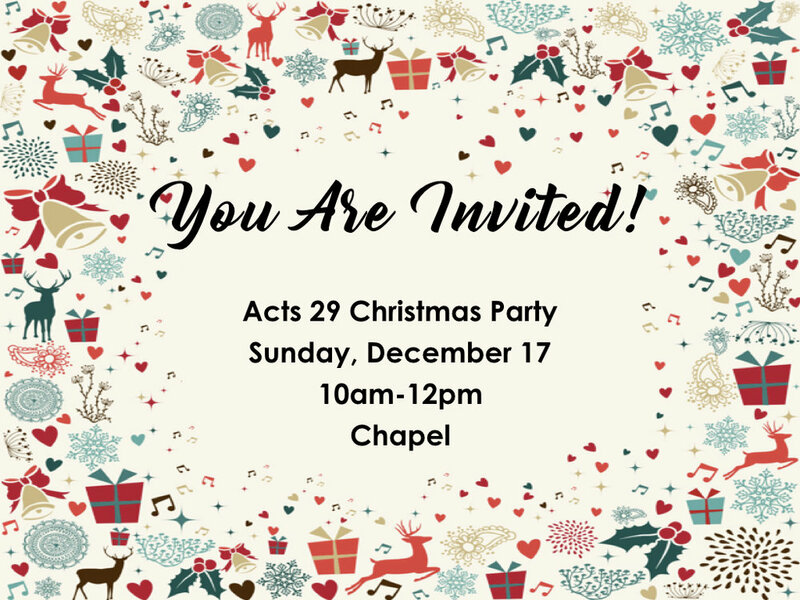 Youth, come and enjoy Acts 29 Christmas Party taking place at the Chapel. There will be games, free drinks and food. For more information, contact Pastor Angel & Mary Sanchez at (203) 934-0880.